Looking to score a great deal on bike stuff? The big SuperSwap starts tonight and PAZ is hosting a garage sale on Saturday. And on Sunday, cycling legend Victor Vincente of America (his actual name) will be in town signing his new book at Velo Cult. Score great deals on bike gear and apparel from loads of excellent vendors. Hosted by The Athletic, expect vendors with hard-to-find used items and new products from companies (including Rapha!) looking to off-load samples and overstocks. Vendor booths available at reasonable prices and there are earlybird tickets available to avoid the huge crowds. More info here. 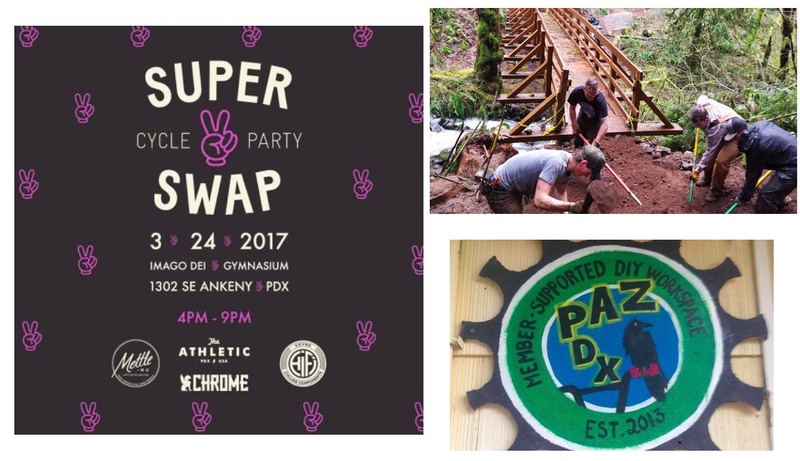 Come out and help the NWTA complete an project to repair bridges on the super-fun Stub Stewart singletrack out in Vernonia. More info here. Join residential architecture lover Jenny Fosmire for this educational and fun cruise through north Portland and discover cool new places. More info here. PAZ is a DIY hub that provides affordable workspaces for creators, builders, and lovers of bike fun. They’re selling lots of used bike parts and frames to help raise money to keep their space open. Come for the sale, stay to learn more about this awesome community resource. More info here. Looking for a fun social ride that will introduce you to new places and people? Head over to the I-205 bike path just south of Marine Drive and meet up with the always-enthused and welcoming Maria Schur. She’ll lead the 25-mile ride that will end at Velo Cult in northeast. More info here. Get plugged into important and exciting bike activism efforts at the monthly meeting of Portland’s all-volunteer Bike Loud PDX group. They’ve got a full agenda and new ideas and volunteers are always welcome. More info here. Grab this chance to meet and hang out with a legend of cycling. 74-year-old Victor Vincente of America (born Michael Hiltner) has written a book about his interesting life that included professional road racing and pioneering accomplishments in BMX and mountain biking. He was profiled last year in Dirt Rag Magazine. More info here. 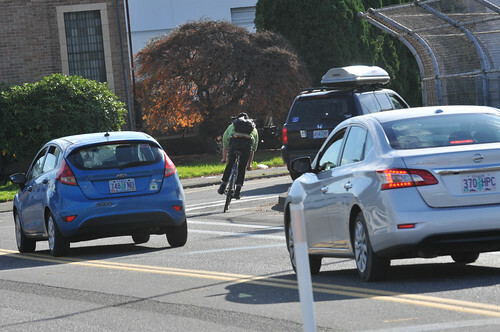 The post Weekend Event Guide: SuperSwap, architecture, trail work party, and more appeared first on BikePortland.org.